So, my closet has been in some what of a confused state for the past year or so. I’ve collected so many things from when I was really into shopping for vintage grandpa shirts to when I was into buying only black leather pieces from Zara, and everything in between. My shoe collection is NO exception. That being said, I cleared out a whopping 23 pairs of shoes this past week and widdled it down from 43 to 20. I was holding on to way too much for no reason…and if I’m being honest, I might still be. That being said, I pulled out all my favorite dress shoes and assessed which ones I needed, wanted, or had to throw out. Upon my assessment, I found that a lot of my leather dress shoes are really great and the only reason I contemplated getting rid of them was because I’m really bad at taking care of my possessions…because I’m lazy millennial scum. SO. I decided it was time to take care of a few of my favorite shoes and shine them up a bit. 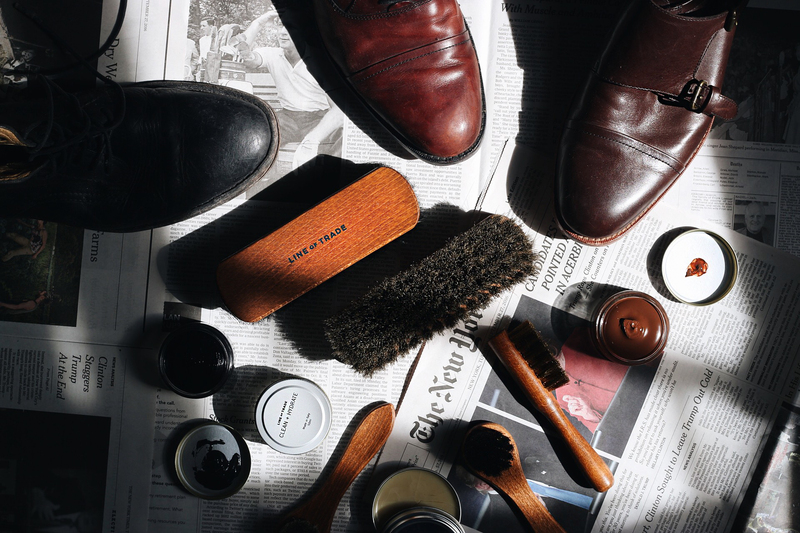 I teamed up with Bespoke Boxes for men and they sent me this insane shoe shine kit. 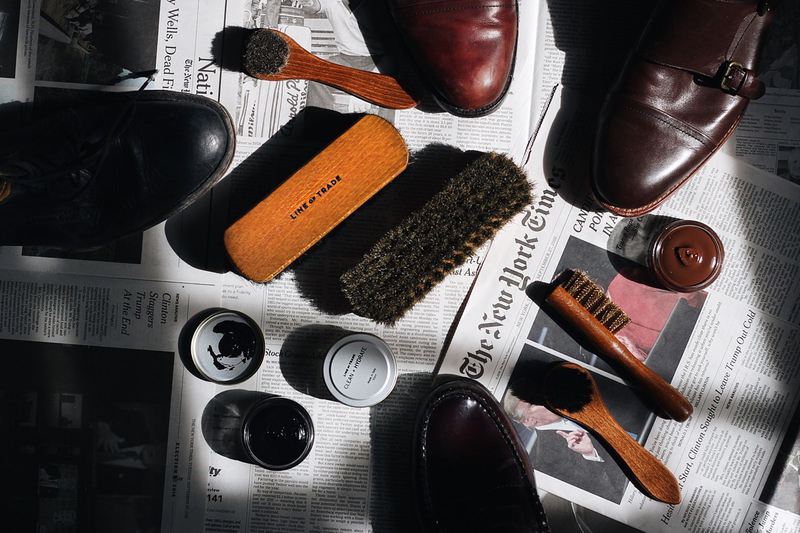 It’s complete with wire brushes for tough dirt, two soft bristle large brushed for shining, three tones polishes, wax, weather protectant, a shammy…literally everything you could possibly need to shine shoes. 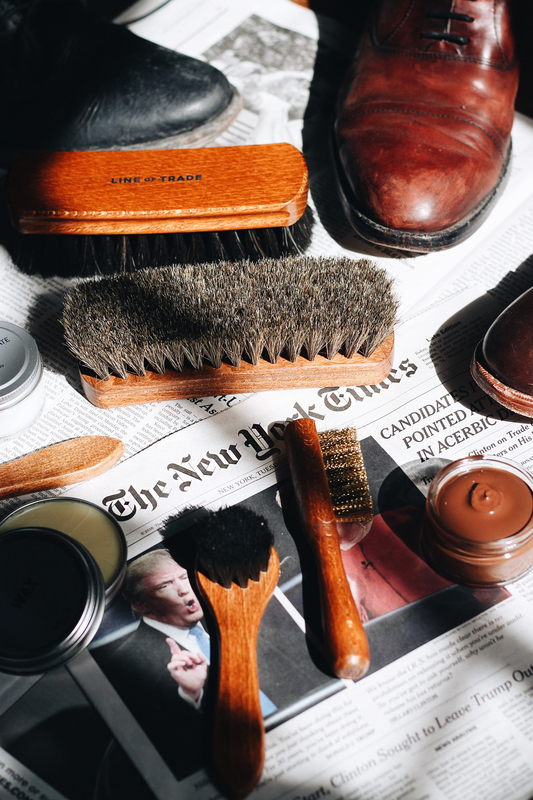 Take a look at the kit along with my pre-shined shoes. Which is your favorite?